You can insure pretty much anything these days. Did you know people are now buying health insurance for their pets? Just because it’s out there doesn’t mean you need it. The idea of insurance is to protect your wallet against things you can’t afford to lose. 1. Health insurance. There’s a lot of noise right now about the new healthcare law (a.k.a. Obamacare) and how it will affect everyday Americans. It seems like everyone has misconceptions about the law. If you already have health insurance through your employer that you like, you’ll be allowed to keep it. Without getting political here, I think it’s a good idea for everyone to have some level of health insurance. The government shouldn’t force people to do so. But the fact is, we all get sick. Those without insurance force society to pick up the tab. At the very minimum, get a high-deducible health savings account to protect yourself against catastrophic injuries and illnesses. 2. Disability insurance. Somewhat related to health insurance, disability insurance provides a percentage of your income if you’re unable to work because of sickness or injury. There are two types: short term and long term. According to some estimates, 3 in 10 Americans will become disabled at some point during their careers. After sick leave has been exhausted, short term disability (STD) insurance kicks in and provides typically 60% of your salary for up to 6 months. Common causes of STD claims are heart attack, back pain and arthritis. Long term disability (LTD) insurance picks up where STD insurance ends. You generally receive 50-60% of your salary for up to 10 years, but a policy that covers you until age 65 is best. LTD insurance covers you for things like connective tissue disorders, cancer, or catastrophic injuries that leave you permanently unable to work. 3. Life insurance. Your career is your greatest asset. What would your family do if you weren’t around anymore to provide an income? I’ve written about this before, but you want your family to be financially stable in the event of your death. If you have a spouse, kids under 18 or other dependents, you need life insurance. A simple level term policy is best. And please, do not buy life insurance on your kids. 4. Auto insurance. In almost every state, auto insurance is mandatory for drivers. Not only that, it’s the responsible thing to do. Driving without the means to make others whole in the event of an accident puts others at financial risk, and is just plain dumb. At minimum you need liability coverage, which includes coverage for bodily injury and property damage you cause to others. If your car has significant value, you also need collision and comprehensive coverage, which pays to repair your car after an accident or other event. Prices vary widely, so shop around to find the best deal. 5. Homeowners insurance (renters insurance). Most people who own a home have insurance, but those who rent rarely do. If your apartment burned down, how would you replace your stuff? Your landlord’s policy only protects the dwelling. You need your own policy to protect your things. Replacement value coverage is best because it covers the cost to replace an item, rather than the actual depreciated value. See my previous post about how to buy renters insurance. A typical policy runs $150-200 a year. Next week we’ll talk about some insurance policies you can skip. We tend to think that history repeats itself. I believe that’s because we have no idea how to predict the future. Or maybe we’re lazy. Whatever the reason, we think that because things have happened one way in the past they will continue that way in the future. Psychologists call this inertia bias. This assumption of continuity might be convenient, but I’ll show you why it’s poison for your wallet. Financial success relies on knowing when to change and when to stay the course. For example, how do you know whether to stay with your auto insurance company or switch to a new one? How do you know your cable company isn’t ripping you off? Do you still use that land line or is it there out of habit? Just because you found a great deal today doesn’t mean it’ll still be a deal a year or 5 years from now. Your goal is to save and be more efficient, so you have to put in some effort. You can’t afford to assume things will always stay the same. I’ll admit – it’s a pain to shop around and get several quotes. The internet hasn’t provided an easy way to compare prices between companies, so we’re forced to call each one separately. Calling to get three quotes could easily take an hour. This is well worth your time though, because yearly premiums can vary by $1,000 or more. Insurance companies differ in how they assess risk and how much of that risk they’re willing to take on. To one company you might be a moderate-risk driver, but to another you could represent a low risk. In addition, companies often raise and lower their premiums based on which area of the country they’re targeting. If they’re trying to rid themselves of customers from your zip code, you may find your premiums increasing quite a bit. Those who remain with their auto insurance provider year after year are probably paying more than they should for coverage. The same goes with home and renters insurance, so shop around at least every two years. I’ve covered how to save on your cell phone bill several times in the past. Most people remain with the same old provider they’ve always used – most likely one of the Big Four (Verizon, AT&T, Sprint and T-mobile). If you’ve been reading the news recently you know that these behemoths are passing through large price increases whenever they think they can get away with it. They’re doing away with unlimited data, which is ironic because that’s where we’re headed with cell phone usage in America. What does this mean for your wallet? You’re probably paying 50% more for cell phone service than when you signed up a decade ago. You’re also stuck in one of those nasty two-year contracts, where they lock you in and provide inferior customer service. Instead, switch to one of the low-cost, no-contract providers like Straight Talk, Virgin Mobile or Metro PCS. With Straight Talk for example, you’ll get unlimited across the board for $45 a month, no contract. Here, remaining in an overpriced contract with one of the Big Four will cost you about $500 a year, or more if you have additional lines. Just because it may have made sense before doesn’t mean it does now. There are better options out there. Since the start of the crisis people have moved out of houses based on economic necessity and have moved in with parents or other family members. Some have become renters. Housing prices have tumbled the past five years as a result. Now it looks like housing prices have finally hit bottom, and interest rates hover around 3.5% for a 30-year loan. That’s the lowest rate on record. If buying a home makes sense in your life, this is the time to act. Prices don’t have anywhere to go but up. If you’re looking at the gloom of the past five years you might assume prices will continue to drop indefinitely. You may be sitting on the sidelines, waiting for the economy to pick up again. When it does you will have missed your chance. With inertia bias such a large part of our lives, is it any wonder we have so many words in the English language to describe how things are always done? Typically. Usually. Normally. Generally. Ordinarily. Regularly. Characteristically. Did I miss any? 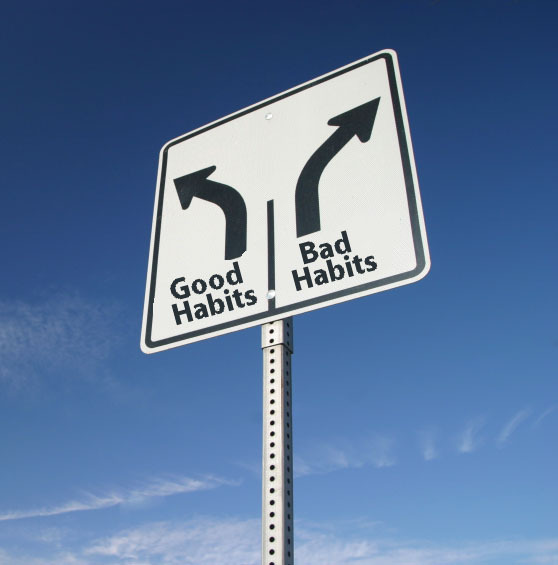 Like bad habits, inertia is tough to break. But your financial health depends on your ability to know when to change and when to stay the course. Shatter those molds and watch the savings add up! Can you think of a time when inertia caused you to spend more than you should have? The Ripoff Alert is a new series appearing once each week on Fridays. It alerts you to the latest scams and ripoffs trying to get between you and your money, and gives you information you need to stay safe. This is #17 in the series. Trick question: What’s an easy way to guarantee a 10% return on your investments? Well, if I were a smooth criminal trying to make off with your money, I’d tell you I knew of a business that was about to make it to the big leagues. I’d convince you to “invest” your money before that happens. You’ll double or triple your money in just weeks! And with almost no risk! Many of us are looking for that path to easy wealth. We badly want it to exist, and in some cases are willing to risk everything we’ve worked hard for to make a quick buck. The truth about investing is that if you want a large return, you’re going to have to accept some level of risk. The larger the return you want, the larger the potential risk you have to take on. Anybody who tells you otherwise is trying to clean out your wallet. The opposite is also true. If you’re unwilling to accept much risk, you have to settle with a lower return. Don’t be fooled into thinking you can have only upside with little or no potential downside. Unless your time horizon is 10 years or longer, there’s no place you can put your money right now and have it grow more than about 1%. I know it’s pathetic. We all realize that won’t even beat inflation. But one nice side effect of these times we’re in is that if somebody comes along and tells you they can earn you 15% a year guaranteed, or 2% per day, or any other number that seems too good to be true, you know they’re lying. Such rates just don’t exist, today or ever. I know it’s tempting to take the bait. You lost 30% of your nest egg in the recession and you need to get back on track. But the criminals will make off with your money, leaving you without the 15% return or your original investment. Think about this: In an era where banks offer 1% per year on savings accounts, how can anybody legitimately offer 2% per day? Not gonna happen. Fraudsters use online bulletin boards, newsletters and emails to alert you to these “can’t lose” deals. The internet allows them a curtain of anonymity that emboldens them to make audacious promises. But if this investment were such a great deal, why would they be telling us? Wouldn’t they just invest all of their own money if they truly believed it was a good deal? You have to be careful with affinity fraud as well. This happens when someone you know and trust, such as a church leader or family member, tries to get money out of you for illegitimate purposes. It’s easy to let our guard down around those we trust. But when someone starts asking for your money you need to start asking questions. So back to our trick question. The answer is there’s no way to guarantee a return of any percent on investments. By its very nature, investing is about taking on risk. It’s about taking chances. There are no guarantees with investing. 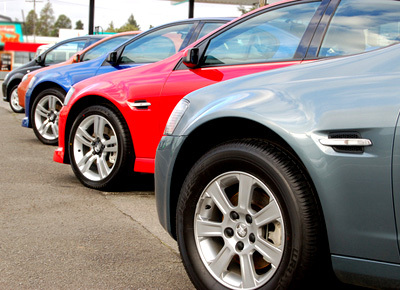 Most money-saving experts support buying a used car instead of a new one as a way to save. Since buying a car is the second-biggest purchase we make, the potential savings are huge. I’ve been thinking a lot about cars lately because of some personal circumstances. One of our until-now reliable cars decided it wasn’t going to start up, so we had it towed to the mechanic where it sits today, more than a week later. As luck would have it, our other car was involved in an accident the very next day. There were no injuries and the car is still driveable, but it leaves us in a tough spot. How much should we spend repairing these cars, considering they are 11 and 8 years old, respectively? Should we instead look at buying a new car? I also discovered this excellent article over at the NY Times. The author talks about why it sometimes makes sense to spend a little extra to get something we really want. He decided to save up and buy a bike that was more expensive than he could afford at the time. He’s seen others go through three or four bikes in the time he’s had his. He argues that in some cases it makes sense to buy good things and own them a long time. With used cars, you have no idea whether the previous owner followed the recommended maintenance schedule. By buying new, you know the maintenance history because you’ll be doing it yourself. The best way to make your car reliable is to follow the maintenance schedule to a T. Sure, you could take a used car to a mechanic and have it checked out. But even if it’s clean, you don’t know what kind of use and abuse it was subjected to. New cars come with a warranty, while most used cars are sold as-is. Used car salesmen are allowed to tell you lies about the car’s condition and history. I assume most are honest, but this is a pretty big risk to take to save a few grand. Another important consideration is safety. Safety standards continue to improve, and with new cars you’re likely to benefit from the latest developments. Some of my favorites are electronic stability control, knee airbags and the blind spot indicators on rear-view mirrors. These features are found on many cars costing less than $20,000, which would have been unthinkable five or ten years ago. Then there’s that new car smell. Who doesn’t like that? Lots of people like to buy new cars, drive them four or five years, then trade them in towards a new car. They constantly make car payments instead of holding on to the car for a few more years, payment-free. These people have no business buying new cars. If you’re going to buy a new car, plan to keep it at least ten years. Why ten? 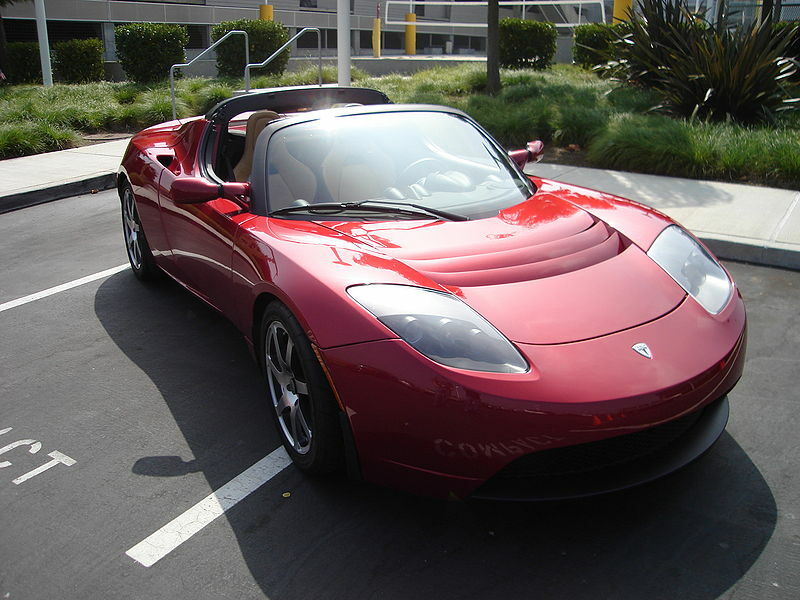 Depreciation is the largest cost of driving a new car. Not gas, not insurance or maintenance. Depreciation is the loss in a car’s value over time. It’s a ticking clock that erodes the value of your car, and starts the minute you drive off the lot. The hit you’ll take from depreciation is greatest in the first three to four years you own the car. In order to recoup these costs, you need to spread them out over time by driving that car at least a decade. Buy a reliable new car, follow the maintenance schedule and keep it a long time. Your wallet will thank you. Do you buy new or used? Why? It’s summer – a time when many of us spend our money on cookouts, swimwear and gas for road trips. But this isn’t all we’re buying. Retailers in more industries are coming up with new ways to get you in the door and keep you coming back. Take Amazon. Their Subscribe and Save program offers lower prices on a wide variety of goods, which show up at your door at scheduled intervals. They hope these low prices will entice you to sign up to receive products regularly. Then there’s Amazon Prime. For $79 a year you get unlimited free 2-day shipping on most items on their site. Studies have shown that people buy more if free shipping is offered. But for that $79 up front, you start to feel obligated to shop at Amazon more often than you normally would. Finally, their Kindle Fire tablet, which came out in late 2011, hooks you in by encouraging you to download e-books and songs from their online catalog. Offering the original product at a discount or even free is another way retailers get you into their ecosystem. Printers and razors are two examples. Manufacturers sell printers at rock bottom prices, often as low as $30, and force you to buy expensive ink refills that cost as much as the original printer. Since all printer cartridges are different, your only option is to buy that manufacturer’s refills. Thus, you’re forced to pay their inflated prices for years and years anytime you run out of ink. Then there are razors. Companies like Gillette often give away razors for free on college campuses. Then they turn around and sell four-packs of razor heads for about $18. This works out to $4.50 for 3 weeks of shaving. What a ripoff! But I’ll let you in on a little secret. Razor blades are stainless steel. If you take care of them they’ll last for a year or more. In fact, I’ve been using the same razor for 30 months and counting! Taking care of a razor blade means rinsing it out well, drying it completely and occasionally sharpening it. The best way to sharpen it is to use the inside of your forearm. After every 5 shaves or so, push the razor from your elbow area to your wrist. Your skin acts like leather, and is great for sharpening razor blades. Retailers use all sorts of strategies to keep you coming back for more. Be aware of this next time you get that screaming deal! Can you think of any other companies that use this strategy to keep you coming back? Europe is in crisis mode, and nobody seems to care. Several countries have borrowed and spent much more than they’re able to pay back. Central among them in Greece, which is in danger of pulling out of Europe’s common currency, the Euro. Greece badly needs a bailout, but European leaders sharply disagree about the best path forward. On one side is Germany, Europe’s bankroller, who swears by the austerity measures they’ve implemented in their own country since the recession began 5 years ago. On the other side is a growing number of leaders from other countries, who believe it’s time for a different solution to the region’s troubles. But why does this matter to us here in North America? Aren’t they across the big pond, thousands of miles away? Here’s something you may not have considered. Europe accounts for 21% of all US exports, according to the Office of the US Trade Representative. That means over one fifth of all goods and services produced in this country are purchased by someone in Europe. If European countries and citizens are faced with austerity, do you think they’ll continue to purchase at the same pace as they always have? A slowdown in Europe directly affects our economic situation here. With Europe buying less, companies have less need for labor, so they don’t require as many employees. Up goes our unemployment rate. Investors lose confidence that Europe will be able to cover their obligations, so stocks move lower. Down goes your 401(k) balance. All of this causes us to consume less here, which slows down economic activity, prolongs the recession and gives companies even less incentive to hire new employees. Another interesting trend is that policymakers have become the primary market influencers. Investors are now reacting to their perceptions of policy changes rather than economic data like retail sales and corporate profits. Because governments around the world have intervened to such an extent in the financial markets, the economy is now more dependent than ever on elected officials. If you weren’t aware of how intertwined the global economy is, you should be now. As nice as it might be, you can’t control what goes on in other countries. Heck, we can’t even control what happens in our own country. But there are some things you can do in your own life to help you ride out these difficult and uncertain times. Reduce the amount of debt you carry. Debt is a chainsaw to your finances. It cripples your financial health, giving your little margin for error. It requires a portion of your resources every month and gives you nothing in return. It adds pressure to meet obligations and stress and heartache when you come up short. Do everything you can to eliminate the amount of debt in your life. Build an emergency fund. I’ve written about this several times on this blog. You need a pile of cash (preferably not stashed in the freezer) that you can rely on in a pinch. Start with $1,000 in an online savings account. Then build it to one month of living expenses, then two months and so on. This is your insulation against the bumps in life. Watch your spending. You can make a budget, track every penny that you spend, or even put your credit cards in a block of ice. Whatever works for you. The point is to think about each purchase and how it makes your life better. Save for your future. If your employer offers a 401(k) with a match, you have no excuses about why you’re not participating. Contribute up to the match and put the rest into a Roth IRA. Even with the markets on a roller coaster, your best chance of beating inflation is a diversified, low-cost portfolio of stocks and bonds. My favorite are the target-date funds. If you’re not sure how much you should be saving, see this post. Who knows what will happen in Europe. But one thing is certain – it’s time to get back to basics. 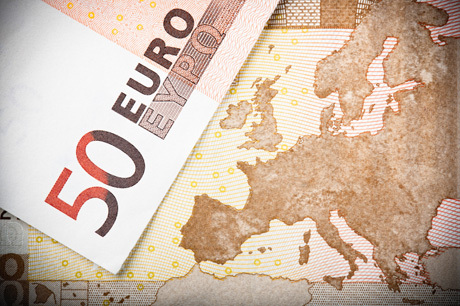 Following these tips helps you insulate your finances from the drama that’s playing out in Europe. Are you worried about the crisis in Europe? What are you doing to protect your finances?